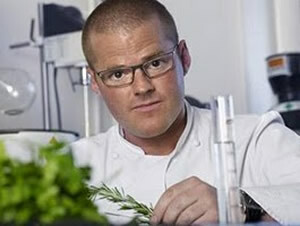 Celebrity chefs - Find more than 136,829 celeb recipes free. The largest collection of celebrity recipes. Browse a complete celebrity menu. Totally FREE recipes from top chefs. Cooking recipes explained by top chefs. Easy and quick best recipes: Rachael Ray, Gordon Ramsay, Paula Deen, Bobby Flay and more celeb chefs. Celebrity chefs go further... true masters of their craft, they elevate fine dining to an art and turn each dish in a jewel. Their experience and their creativity inspire generations of home cooks. Thanks to these celebrity chefs' tasty takes on easy recipes, you, too, can cook like a pro, so get ready to whip up a star-studded dinner tonight. You can perfect celeb dishes at home, and then head to their restaurants for inspiration! Celebrity Chefs are so influential and have great recipes and tips for easy every cooking that are easy to follow both for every day and for special occasions. Award Winning chefs - We brought together world-renowned top chefs to share their most innovative recipes. You'll find a series of American chefs Sound like a plan? Check out these celebrity chef recipes and some hot new celebrity-chef recipes featured at the world renowned restaurant. Modernist cuisine has challenged all of haute cuisine's assumptions and introduced the most advanced technology into the kitchen. Try our huge range of celebrity chef recipes from all your favorites. Let's "cheers" to all this inspiration! Choose a few top-quality ingredients and work from there. Celebrity Chef Tip No.2: Keep It Simple: While a party might seem like the moment to show off more complicated recipes, simplicity is essential to a successful menu. It's better dishes that are simple in execution and made with just a few flavorful ingredients. Celebrity Chef Tip No.4: Prep Ahead: When cooking for a crowd, food can be prepared well in advance and needs little final attention. This keeps stress low and means you'll have time to enjoy your guests, which really is the point of the party. It's the last dish your guests will taste, Make sure it's memorable!